Passed away suddenly at home on Tuesday, February 19, 2019. He was 81 years old and in his 60th year of marriage to the love of his life, Elfriede (Nitz). Predeceased by his parents, Georg (1969) and Elisabeth (Drechsler) (1998). Loving father to Ken (Joselle Hebert), Robert (Anna), and Douglas (Lisa). Cherished Opa to Joel, Ryan, Steven, Cameron, Sophie, Isabella, Benjamin, Tobias and Lucas. Dear brother to Jakob (1998) husband to Elizabeth, Theresia wife to the late Konrad Scherer (2017), Hans, the late Elisabeth (2016) wife to the late George Dimitrie (1976), Henry husband to Helen. Ed will be missed by his many nieces, nephews and extended family. Ed was a farm boy from Hrastovac, Yugoslavia, born on August 14, 1937 and immigrated to Harrow, Ontario with his family in 1952. In 1972, Ed founded Windsor Mold Inc., which grew into the Windsor Mold Group of companies. 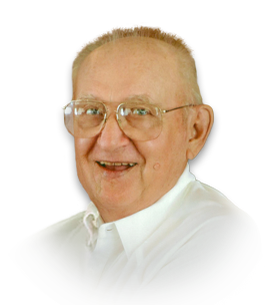 He was a pioneer and innovator in both the plastic injection tooling and automotive parts manufacturing industries for more than 50 years. He had a strong commitment to both customers and employees of the Windsor Mold family. He touched many lives both directly and indirectly throughout his life and will be remembered fondly and missed. In lieu of flowers, memorial donations may be made to the Summit Centre for Preschool Children with Autism, 940 Prince Rd., Windsor ON N9C 2Z5, or the Salvation Army. Visiting Monday February 25, 2019 from 2-5, 7-9 p.m. Visiting Tuesday February 26, 2019 from 9:00 a.m. until time of funeral service at 10:00 a.m. at Families First 3260 Dougall Ave. South Windsor, 519-969-5841 with Pastor Bugbee from First Lutheran Church officiating. Interment Victoria Memorial Gardens.